I have a problem with my 1995 Silverado 3500. I have had it for nearly two years and have only driven it once. Otherwise, it’s been sitting in my shop waiting for me to get to it. 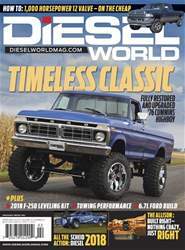 I thought I was through with diesel trucks when I sold my 1990 6.2L turbo five-speed diesel. However, I found a 95 Silverado K3500 on eBay only 150 miles from me and I believed what was said on the eBay information. DON’T ever believe a vehicle seller on eBay. I had it towed to my house because he said it had a broken harmonic balancer, which it did. I was told that it started great and ran great. NOT. when it got home, I tried to start it but no luck. Glow plugs were all bad, so I plugged in the engine block heater overnight, and it started and drove it in to my shop. So, I began by replacing the glow plugs, glow plug wiring, injector fuel return wires, installed a new fuel filter, then a new heater core and AC condenser. Never doing that again, removing the complete dash is something I never want to do ever. I am 71 and seem to be getting older.) Ended up replacing the complete AC system. After that, I had the truck running great. I also replaced the vacuum pump because it wouldn’t pass emissions. Then I had to rebuild the whole front end, and I was almost finished when I had to take a timeout for open heart surgery.